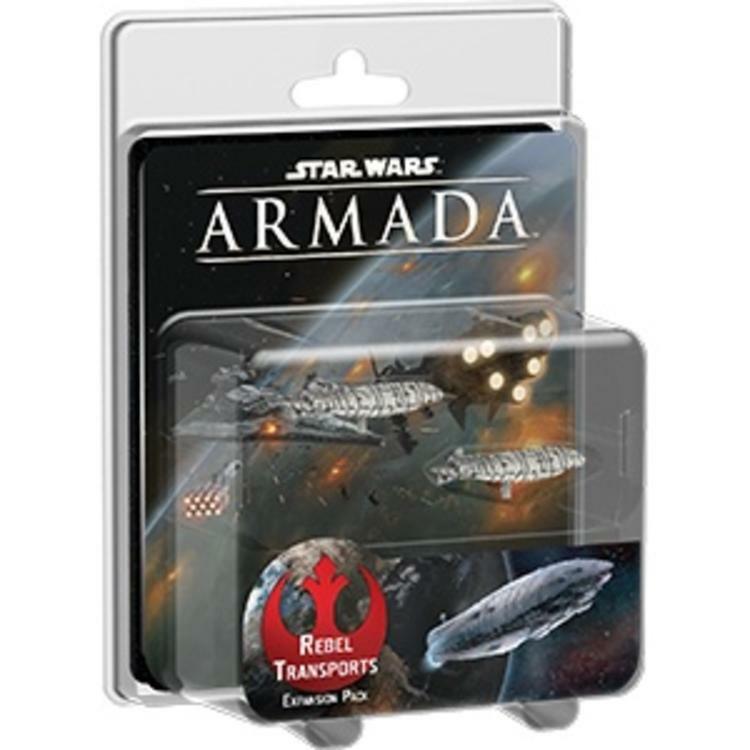 The Rebel Transports Expansion Pack introduces a flotilla of GR-75 medium transports to your games of Star Wars™: Armada. 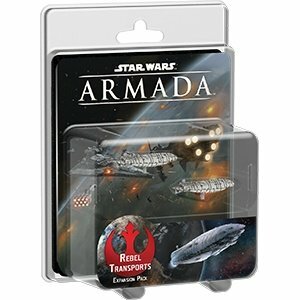 In addition to its flotilla, which you can field as either a pair of GR-75 Combat Retrofits or GR-75 Medium Transports, the Rebel Transports Expansion Pack introduces eight upgrades, four of which feature the utilitarian Fleet Support icon. Relay commands to your larger ships with a Comms Net, or trail behind your largest ships with Repair Crews to keep them in the fight a bit longer. Clever use of the support your fleet gains from its Rebel transports can easily make the difference between victory or defeat.